Light grey can be used as a primary color in a room or as an accent color with almost any other color. It can make a strong statement or be subtle. It is a color that can be used across a wide spectrum of decorating styles. It can help create a modern room or a rustic look. It can be used to highlight a focal point or help blend in an accent piece. Characteristics of light grey allow it to be used as a contrast color without making a room feel smaller. It can also add warmth to a room. You can use it for decorating in unexpected ways such as a harvest display on an elegant Thanksgiving table or as the primary color in a relaxing, gender-neutral nursery. Check out the following ideas for decorating with light grey. 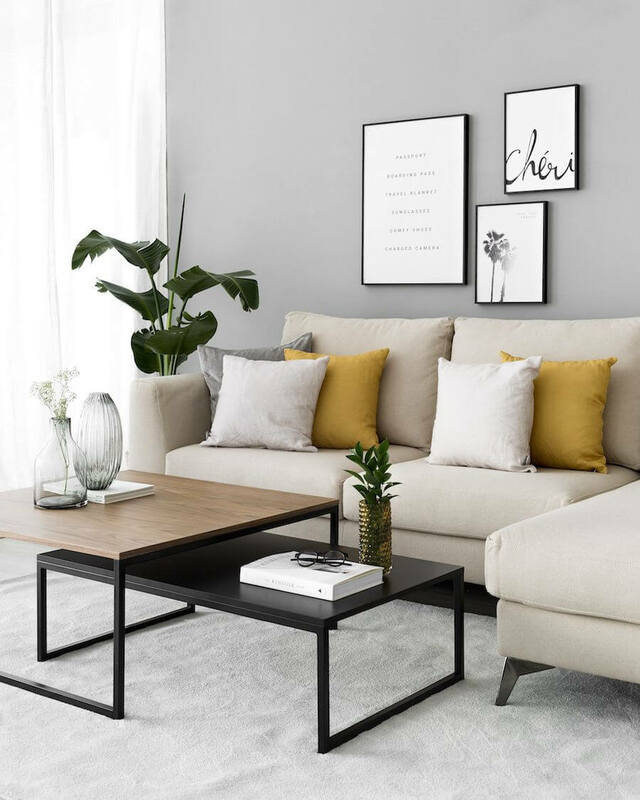 No matter what decorating style or color palette you like, you should be able to find ideas that will have you incorporating light grey into your décor. This light grey buffalo check pillow will coordinate with a variety of decor styles, patterns, and colors. It also can be used in a variety of rooms. So when you buy it for your current decorating plans, you can be sure that you will be able to find a place to use it in the future. 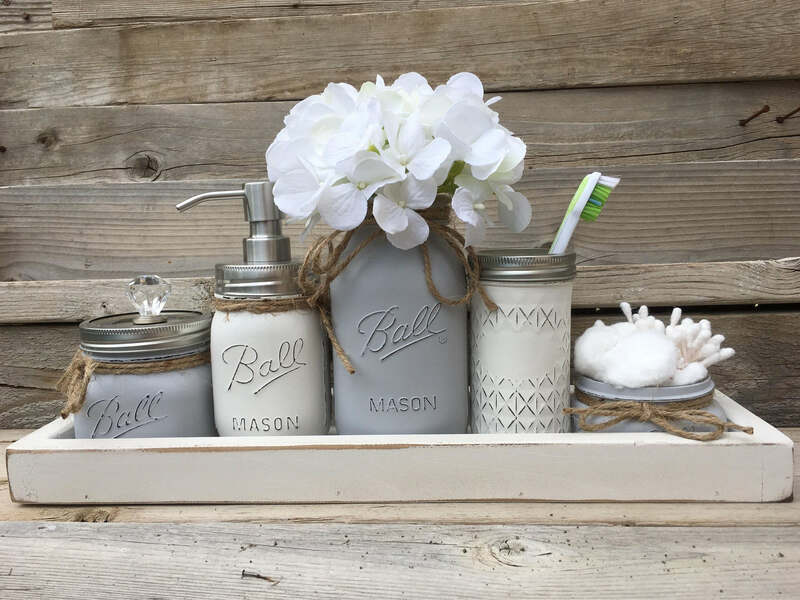 Redecorating your bathroom in a rustic style? This bathroom set is a perfect organizational piece. It’s reasonably priced for all that it includes. You get the vase with flowers, the soap dispenser with plunger, the toothbrush holder, the jar with the lid, the smaller jar, and the tray. The jute cord is already attached. All you have to do is unpack it. Inspired by the simple, clean lines of rustic Scandinavian design, this ball garland creates a fun, sophisticated décor look. It will look great in a nursery or as a party decoration. You can also use it to decorate a mantle. It is available in various lengths, and the placement of the balls on the cord can be rearranged. These light grey buffalo check curtains add a light, airy look to your room. You can use them with any accent color, and they are suitable for a variety of rooms including the kitchen, dining room, bedroom, or nursery. They also blend well with current rustic and country decorating styles. A cute decorative item for a child’s room, this teepee will also provide a play space and a quiet time space your child will love to use. 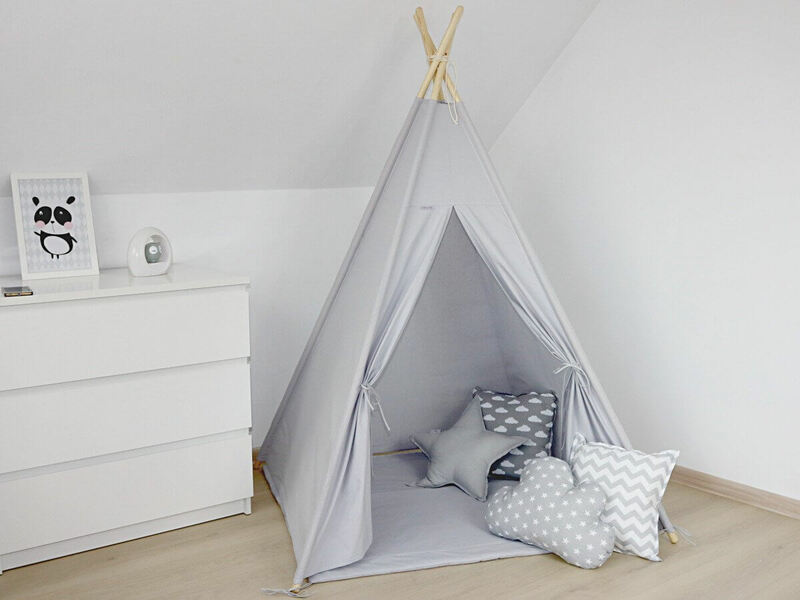 Not only will your child enjoy playing in the teepee, but if you add a mat and pillow, your child can use it to take a nap without fussing when they are tired. This Ottoman tray is not only a decorative accessory that can hold accent items, a book you are reading, and the remote control, but it is a functional item that will help you serve guests when you are entertaining. The style and the light grey color will allow it to blend into any room. 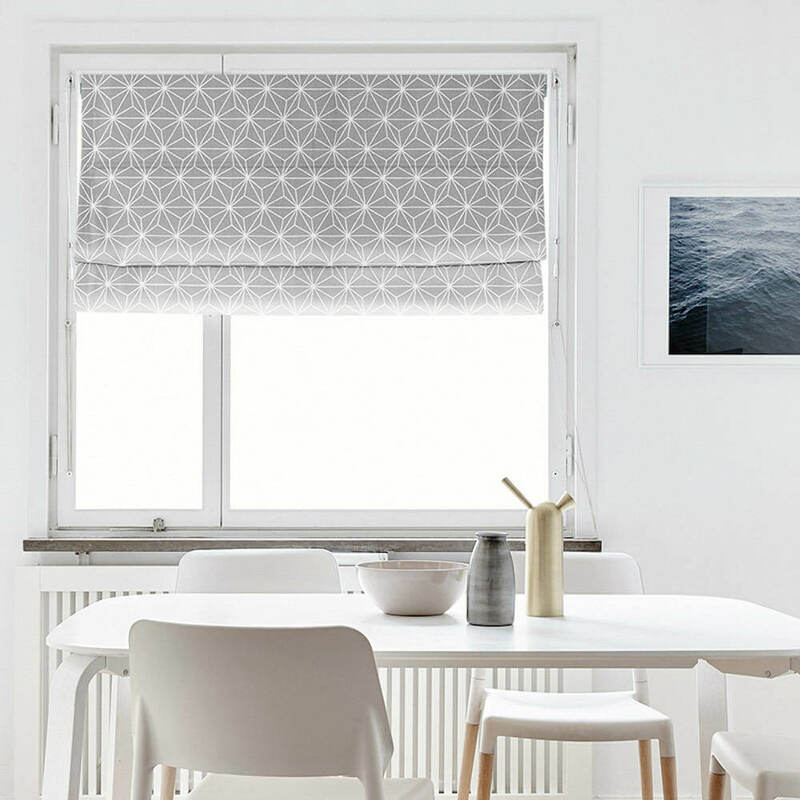 This Roman shade is a simple window treatment for your room when compared to curtains. Roman shades fold as they are opened but provide a smooth surface when they are closed. The geometric design is decorative like a wall hanging. It blends with today’s minimalist and modern decorating styles. This three piece canister set for your tea, sugar, and coffee consists of three glass jars that have been painted and then hand lettered. They will complement any kitchen or coffee bar decorated in country or rustic style. The seals on these jars should keep the contents fresh. 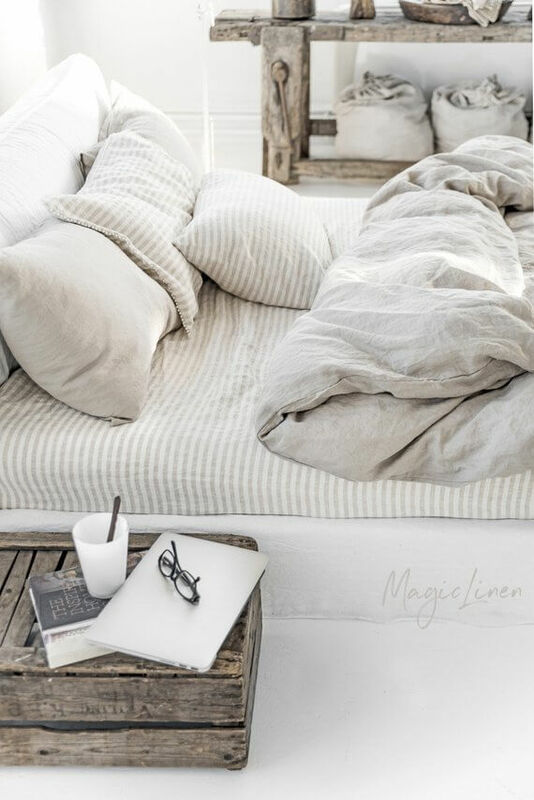 This light grey duvet cover and pillow case set will complement any other colors that you select for your bedroom. The linen fabric is suitable year-round. It is lightweight and breathable. It helps your body temperature stay cool in the summer and warm in the winter. It also draws moisture away from your body providing you with a comfortable night’s sleep. Would you like to do a quick or temporary makeover in a room? Try this peel and stick reusable wallpaper. 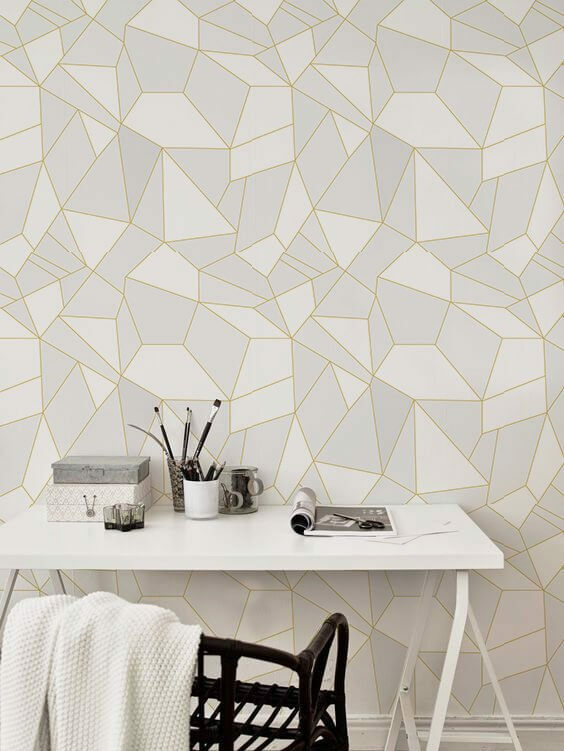 This triangle pattern could be used for an accent wall to create a more modern look in a room. However, since the wallpaper is easily removable, you can return the room to its original look at any time. To add a more elegant feel to the harvest display on your table, use shades of grey for your table décor. 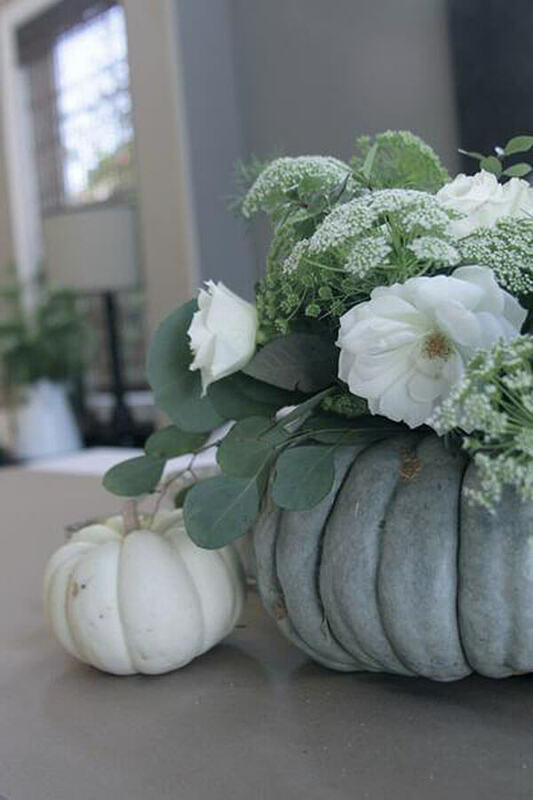 White and grey pumpkins filled with a variety of white flowers complement your white china, best glassware, and silverware while still celebrating the fall harvest theme. Draw the table décor together with napkins in shades of grey. 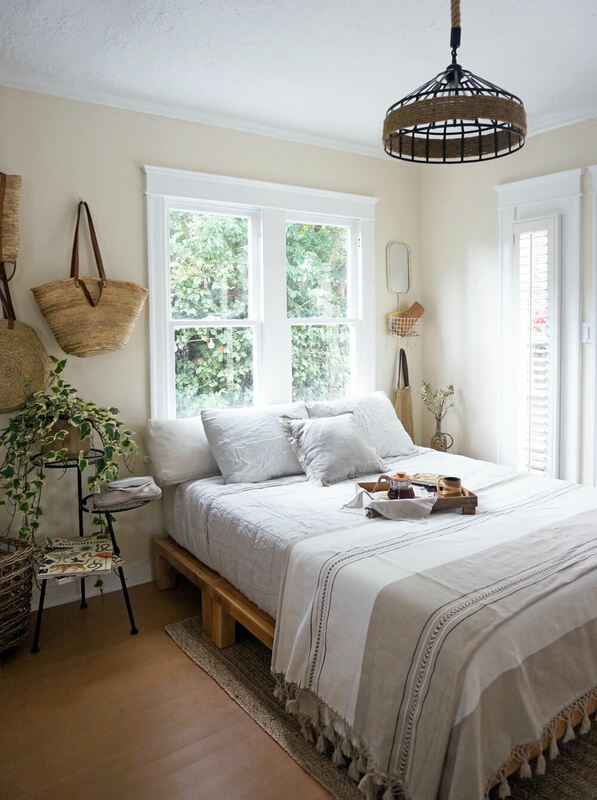 Using white in small rooms makes the room look larger, brighter, and airier. However, adding grey contrasts in the room makes the room more interesting and less sterile. Using this color provides a subtle contrast and an interesting focal point in the room without making the room look smaller. On the color wheel, the warm colors are red, yellow, and orange. 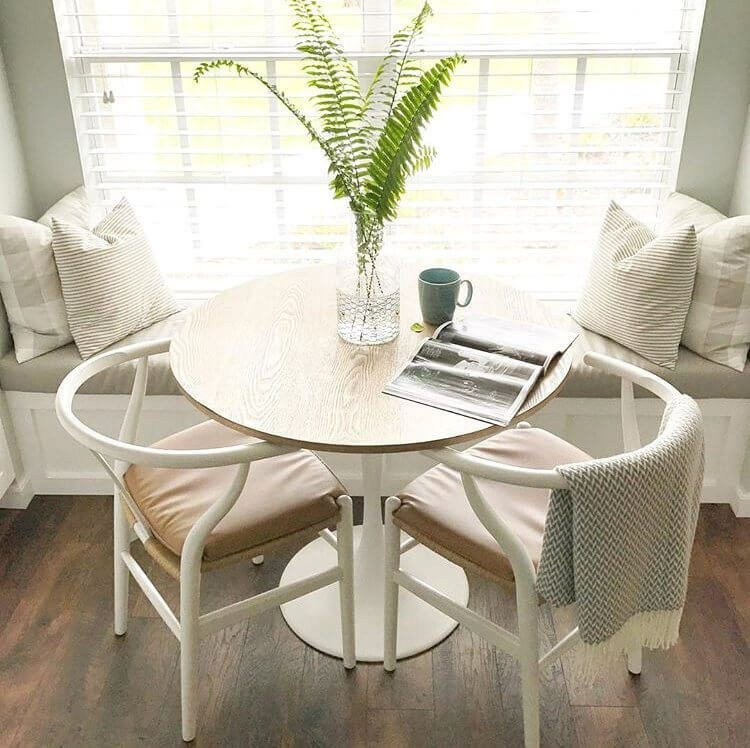 However, if you want a more subtle color palette, using the right shade and amount of light grey can add a warmth to a white room such as this one. The two gold accent pillows add to the warmth. The grey also contributes to the clean, modern look. The pattern in this rug would create a focal point, but it could still be lost among other details in the room. 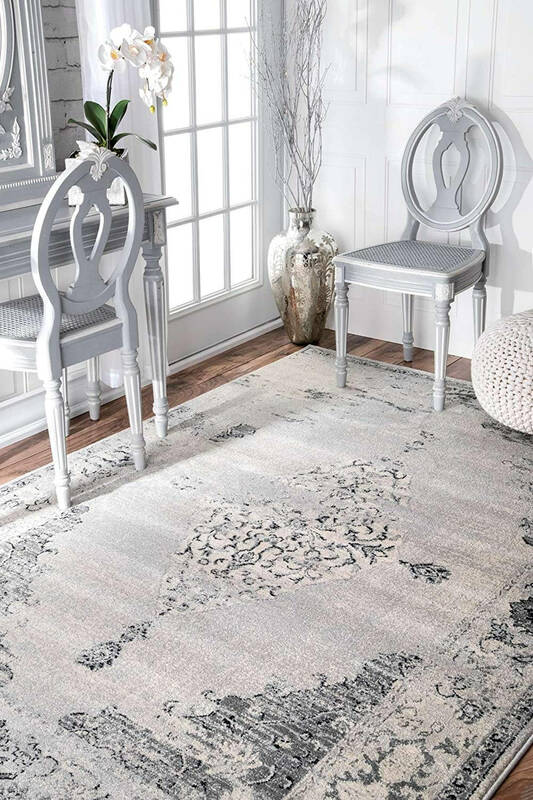 The light grey in the rug creates enough of a contrast to help make the rug more of a focal point. This helps pull the whole room together. Using the traditional pink or blue and baby motifs can create a nursery that can seem hyperactive. This nursery is warm, relaxing, and gender-neutral. It helps create the feel of a clean and quiet environment. It is sophisticated and can be updated with accent colors. It also easily grows with the child or converts to a nursery for subsequent children. Mirrors are usually accent pieces. 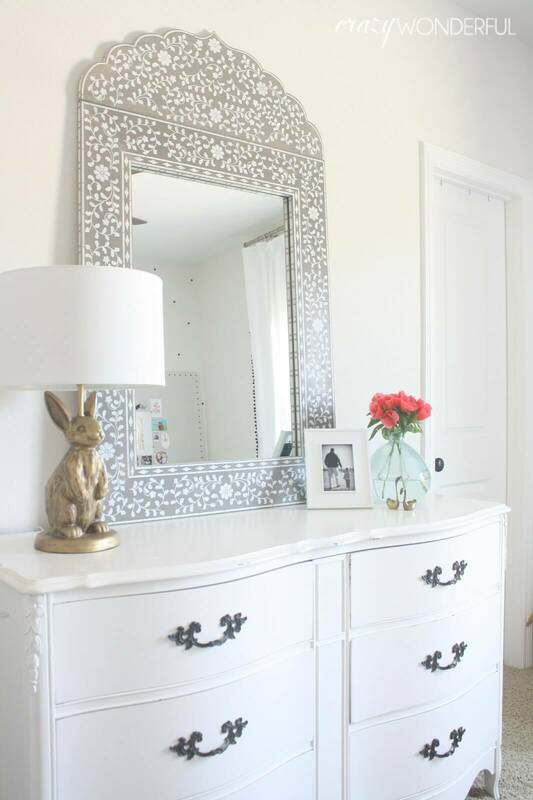 However, a stenciled frame with a light grey background turned this sheet mirror into a focal point. 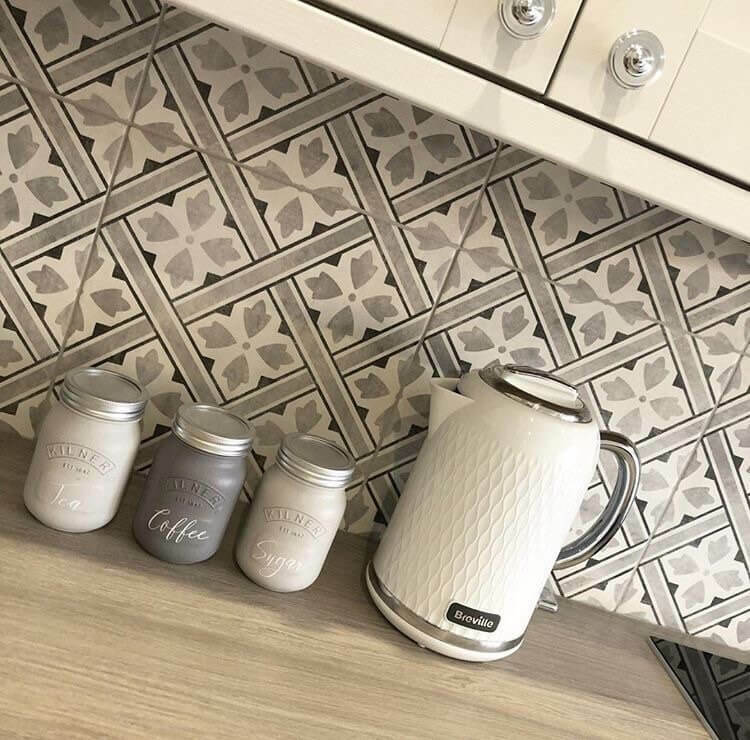 The combination of the light grey as a contrasting color and the stenciling creates a space that draws your eye and establishes a visual hierarchy so that décor items in the room no longer fight for attention. 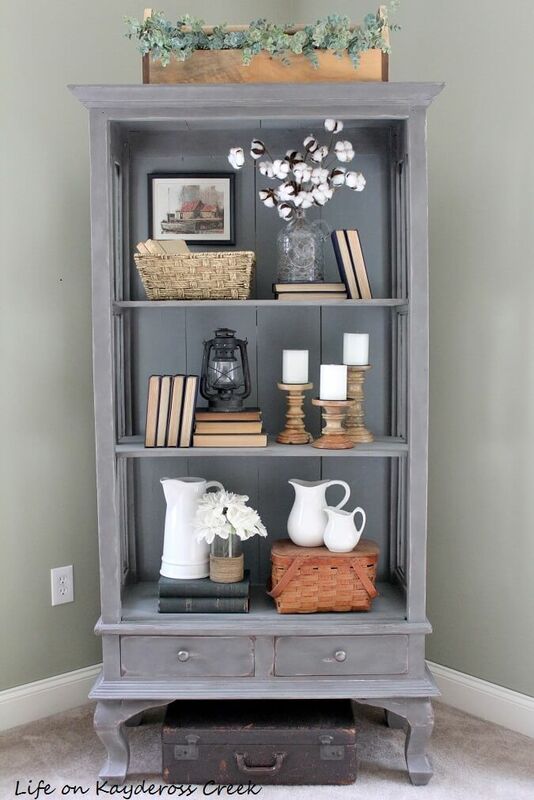 For those who love the rustic look, light gray is the perfect accent color. It blends well with this casual, friendly style. 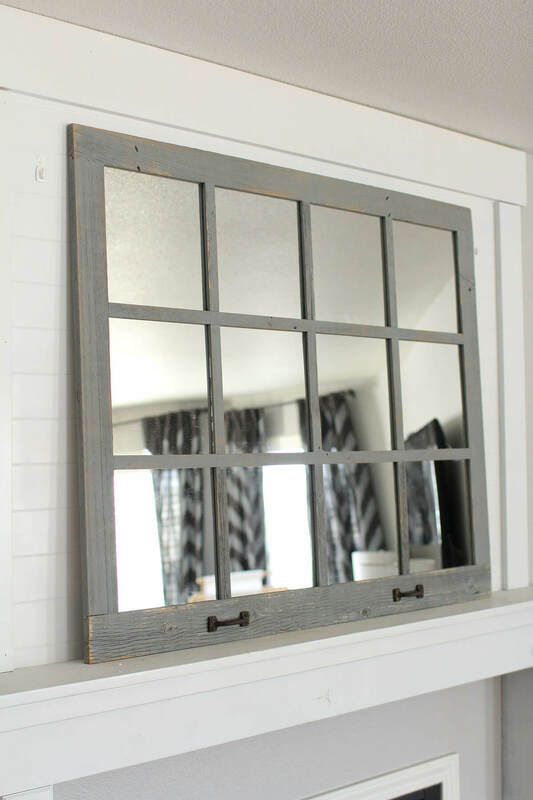 You can paint any wood piece that you use in your room grey, such as this window frame that is covering a mirror. It will also complement any other color you use in your room. Moving to the exterior of your home, you can carefully choose areas to accent. If your porch has a wood floor you can paint it gray. You can also consider painting your door, door frame, or window frames grey. Just make your choices carefully and don’t overdo it. When refinishing furniture, you can stain it, leave it unfinished looking, paint it white, or paint it a color to complement a specific room. 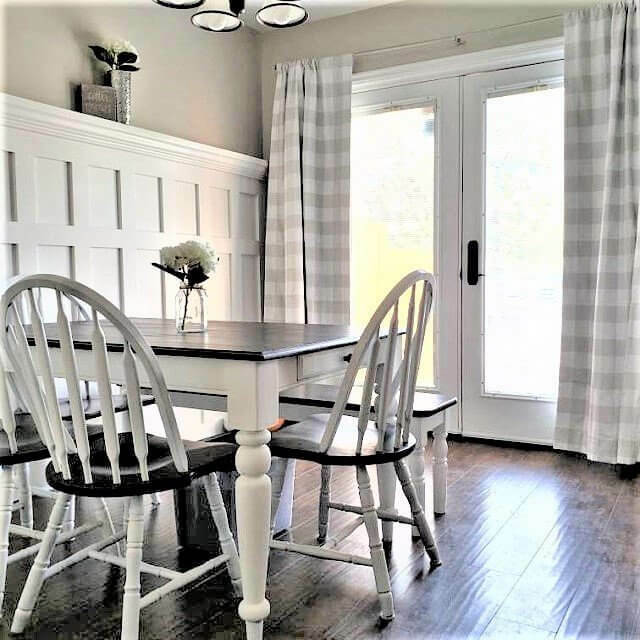 However, painting furniture grey can make it feel warmer than white and can allow it to be used as a focal point or accent piece in multiple rooms. So consider light grey as the new white. 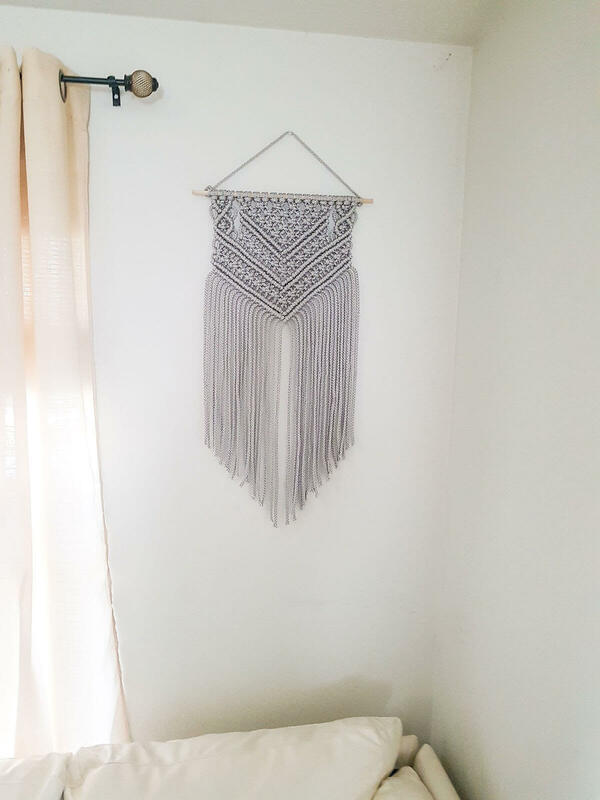 No matter whether your décor is sophisticated, elegant, modern, or rustic, you can add a macramé or other fiber art wall hanging that will complement your style. This will add a unique accent piece to your room. The style of your décor will dictate the materials and design of the wall hanging, but finding or creating one that fits will be easy. 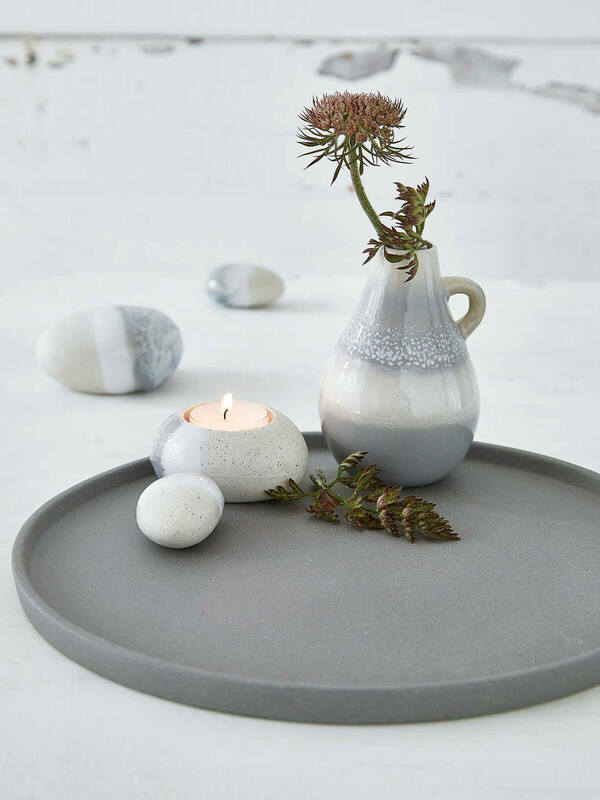 Adding light grey accents to a room can be as easy as adding the wall hanging already mentioned along with some pillows and some tabletop collections. 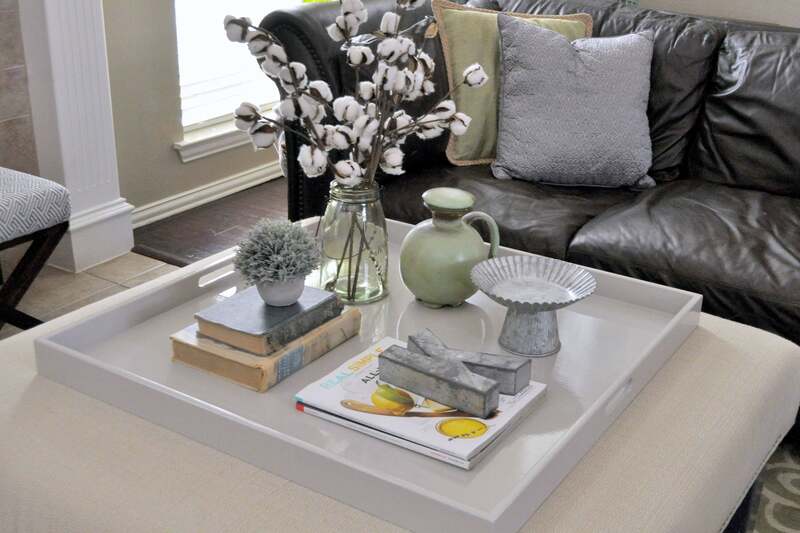 Start with a tray, add vases, candles, or figurines. Place the collections on shelves and tabletops throughout the room. The color repetition will pull the room together. 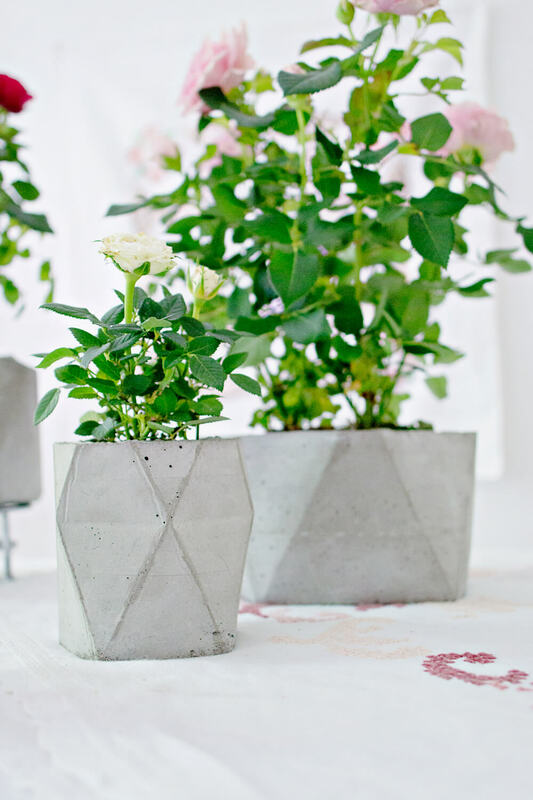 These concrete planters could be used in multiple places in your home. They could be placed by a fireplace in the living room, family room, or great room. They would complement a spa-like bathroom. 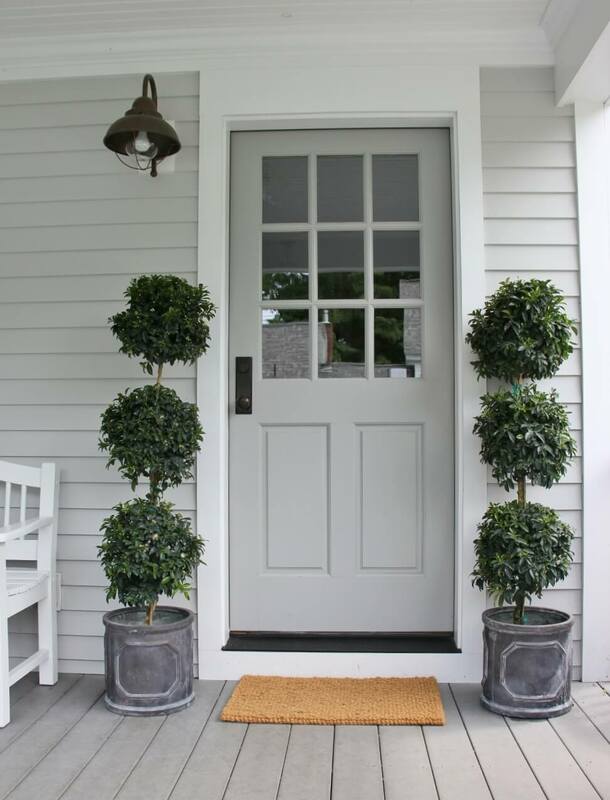 On the exterior of your house, they could be used on a front porch, patio, or deck. The size and the plants would be dictated by their location. 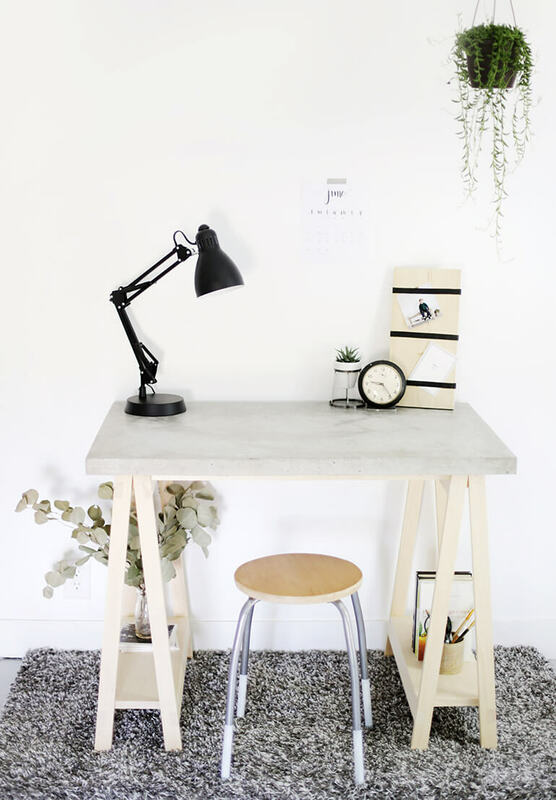 For a unique modern feel, try something different such as this concrete desk. It creates an industrial feel for a home office. It may not fit everyone’s personality or décor, but it could appeal to architects and engineers and would be interesting in lofts or basement offices.